A professional advocate of early childhood education, socialization and readiness, Discovery Point is an industry leader in creating and modeling state-of-the-art programs. 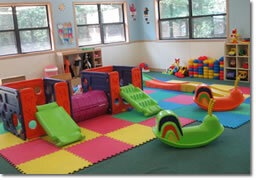 Since 1988, Discovery Point has built 58 world-class child development centers from the ground up. Several new centers are currently being developed, a few existing centers are available for purchase, and plans are underway for expansion across the Southeast, including Texas, and North and South Carolina. 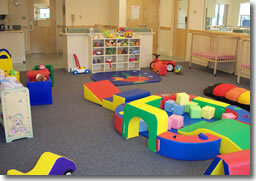 Job security, satisfaction, promising income and personal fulfillment are yours in the childcare profession. With new sites under development and existing centers for sale, there has never been a better or more affordable time to join our team. With growing numbers of dual-income families and rising birth rates, it's no wonder that the child development industry annually generates billions in revenue. After all, more than half of all mothers enter the workforce within a year of a child's birth, and 87% of previously employed women are back at work within 9 months. These mothers need to know that their children are safe and nurtured – and they're willing to pay a premium for quality center-based care. Franchisees are able to leverage the expertise of an already established, successful business. Unlike independent business entrepreneurs, franchisees can receive assistance with financing, site selection and construction, day-to-day operations, marketing, group purchases and more. Franchisees can avoid many of the risks of starting a new business. The support provided to franchisees is especially important in the child development industry, where parents need to know that their children are receiving quality care. Partnering with an industry leader like Discovery Point allows you to benefit from the trusted reputation of an already established brand. Our model provides more than a franchise agreement. When it comes to developing franchises, we start by providing a proven business model and specialized training. From there, we continually provide our partners with state-of-the-art resources and individualized support – all while cultivating fresh ideas and improved programming. Discovery Point Franchisee also builds equity for the future because, as part of the package, you own the property, the building, the equipment and the child care business. Growing, mentoring and innovating for over 20 years, Discovery Point understands that each child, family and franchise is ultimately linked to our reputation and success. If you are personally inspired and professionally committed to working with children and families, consider growing with us. Discovery Point sites are available in metro Atlanta as well as other growing communities throughout Georgia, and Florida. We are currently expanding into North Carolina, South Carolina, Texas and Alabama and additional areas are always being considered. In considering the purchase of a Discovery Point franchise, you may want to consider franchise purchase options, such as leasing or a partnership. Several of our franchisees have become owners by partnering with family members or life-long friends. A Discovery Point franchise can also be the ultimate family business. Please note this franchise is currently only accepting leads from Al, FL, GA, NC, SC, and TX. Interested parties should have at least $250K to invest. Click on Request Information for FREE info on how to open a Discovery Point franchise today! Please Note: This Discovery Point franchise opportunity and other franchise business opportunities, businesses and franchises for sale on this web site are not to be considered as an "offering", "franchise offering", suggestion or recommendation by Franchise Leader™. This advertisement depends entirely on the truthfulness of the information provided by our advertisers which includes, but is not limited to, franchisers, franchise brokers, franchise consultants and business brokers. Franchise Leader™ recommends that you consult a lawyer, financial consultant, accountant or professional advisor before buying a franchise or business opportunity or any type of business. By using this form or any part of our website, you have agreed to all terms and conditions of Franchise Leader™. Please review our Terms & Conditions for more information.